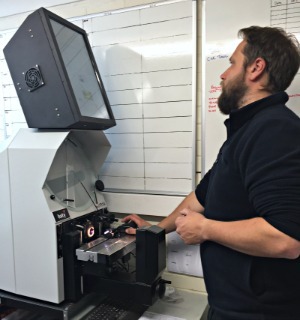 Reverie Ltd has improved its machining accuracy and quality inspection capability with the Baty R14 FT2-E Profile Projector. The Baty R14 provides Reverie Ltd with high accuracy non-contact measurement and inspection for the manufacture of autoclaved carbon fibre composite parts, and as a method of checking CNC tool cutter diameters and wear to improve machining accuracy. 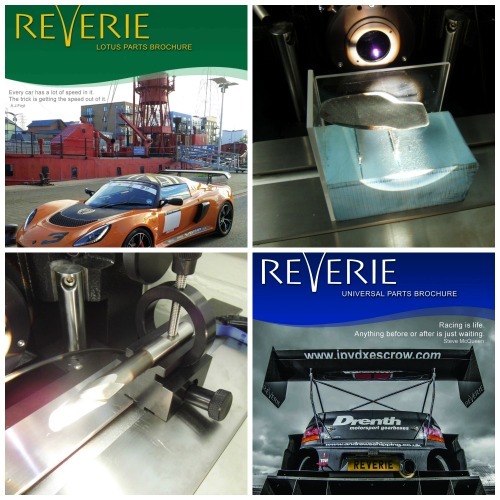 Based in Colchester, Essex, Reverie Ltd is a highly accomplished and skilled carbon fibre composite design, repair and manufacturing company. With over 15 years of experience crafting the finest autoclaved carbon fibre composite parts from alloy or carbon composite tooling, they supply businesses and retail consumers with bespoke or batch produced high quality, repeatable carbon fibre parts. They also offer a diverse range of carbon composite parts for the electronics, communications, marine, home, construction and automotive markets, and a repairs service. As a leading name in the automotive industry for the design and manufacture of advanced autoclaved composite parts, Reverie Ltd has recently used the Baty R14 FT2-E Profile Projector to measure the tolerance of key fob trims for a British automotive manufacturer of luxury, high-performance sports cars. Reverie Ltd produces a high volume of the key fob trims, and therefore required a quick and easy method of measuring to a tolerance of +/- 0.1mm to ensure precise consistency and the highest quality product. Reverie Ltd has also used the Baty R14 to measure CFRP trims; a new prototype part currently in production for a high-end male grooming company. The Baty unit allows Reverie Ltd to accurately measure the side profile and the plan profile of the tail end of the part, the accuracy of which is absolutely crucial to a good cosmetic fit to the casting. Reverie Ltd chose the Baty unit when they discovered that they were unable to measure the parts with their Faro Fusion Arm due to touch pressure. The Faro Fusion Arm requires the component to be touched during the measurement process. Due to the flexible nature of the CFRP parts, they have a tendency to become distorted in shape when handled, therefore producing inaccurate readings. Another potential option was to use a white light scanner, which was not only unsuitable for achieving the required level of accuracy on small parts, it was also difficult to find and measure the edges of the component. The Baty, therefore, was a faster and simpler option as it boasts automatic profile edge detection. The readings that Reverie Ltd obtain from the Baty R14 FT2-E Profile Projector also enables the company to prove that finished components are within the tolerances that they quoted to the customer. This can be useful when handling potentially rejected parts, as proof of tolerance achievement allows Reverie Ltd to reduce scrap and provide the customer with assurances of quality and accuracy. As the key fobs are cut and trimmed by hand, there is naturally some capacity for variations between the components. The Baty unit allows Reverie Ltd to be consistent and accurate in their manufacture, therefore reducing the possibility of rejects and the costs associated with this. Reverie Ltd also use the Baty R14 FT2-E Profile Projector to check CNC tool cutter diameters and wear to improve its CNC machining accuracy. It’s important that the wear on the CNC tools is monitored carefully, as damage to the tool such as nicks and chips have a negative impact on the patterns, molds, and components that the machine is used to cut. The Baty R14 is also used to measure the depth and size of the tools, in order to ensure that the correct diameter is used for the application requirements.